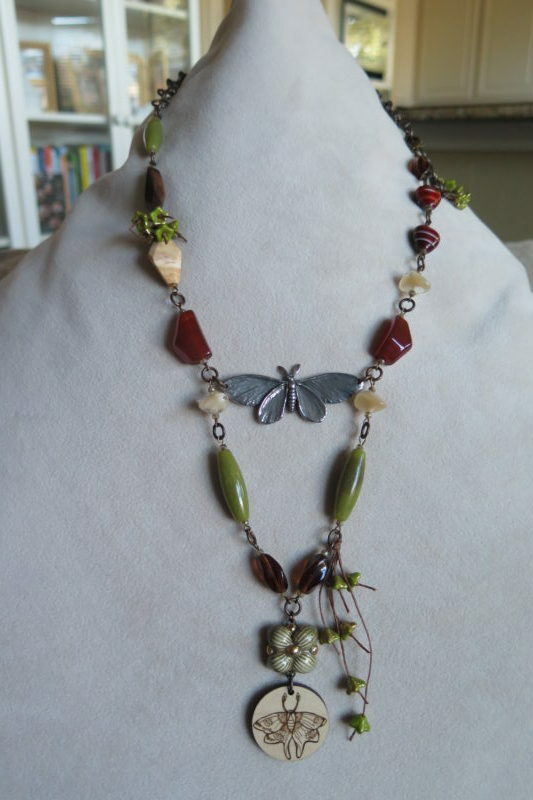 Towards the Light Necklace was designed by Michelle McEnroe of McEnroeMoments using a Luna Moth Wooden Pendant designed by Andrew Thornton of Allegory Gallery, a pewter moth by Green Girl Studios, and a ceramic flower connector pendant by CeramicfantasyByLina. 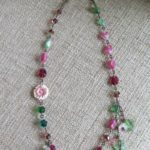 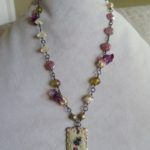 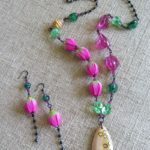 An assortment of gemstones, vintage glass beads, and Czech glass flower clusters complete this design. 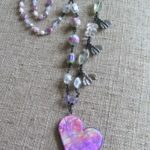 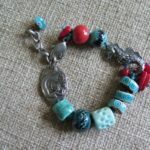 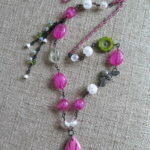 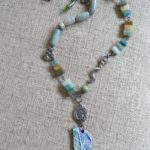 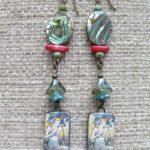 Michelle's jewelry can be found on Etsy at http:? 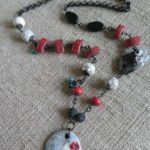 ?www.etsy.com/shop/McEnroeMoments.